Home >> Economics >> When Does a Recovery Become a Failure? When Does a Recovery Become a Failure? The Marxist inspired policies of President Obama and the Communist Party of America (formerly the Democratic Party) have failed to return employment levels to those of the often blamed Bush. This isn’t a recovery. It is just extended misery. Oh, and that Bush guy, hasn’t been President for six years now. Obama still blames Bush for the economy, but somehow in two years, we defeated the Kaiser and in 4 years, Tojo and Hitler. 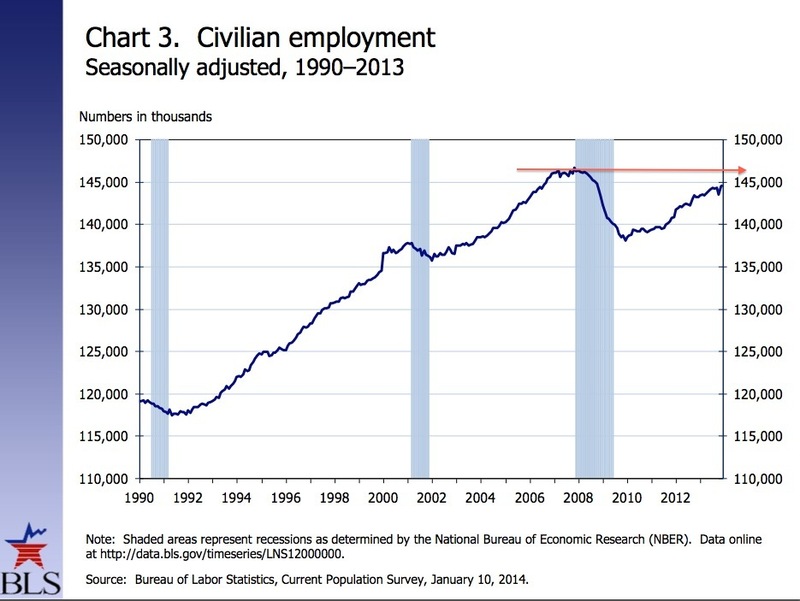 Yet, in six years, Marxism can’t return employment to pre-recession levels.